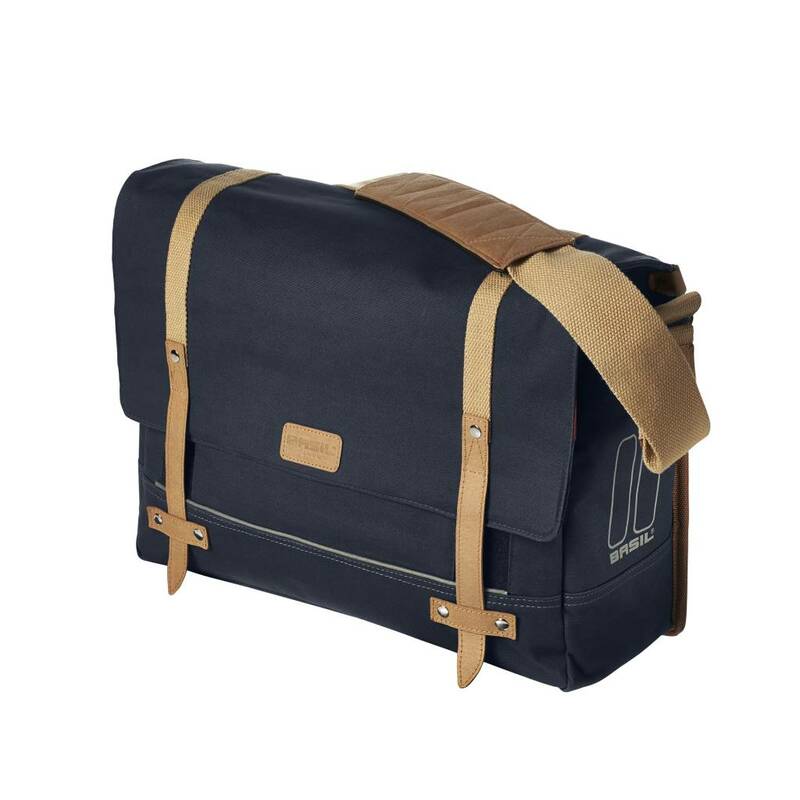 The Basil Portland Messenger is a dark blue and stylish bicycle shoulder bag with a capacity of 16-20 litres, equipped with a Hook-On system, rain cover, 15 inch laptop pouch and reflective details. The Basil Portland Messenger is the perfect choice for the professional who depends on their bicycle as their main mode of transport. In addition to its user-friendly features, this bag is an incredibly stylish choice and is finished to perfection down to the slightest detail. 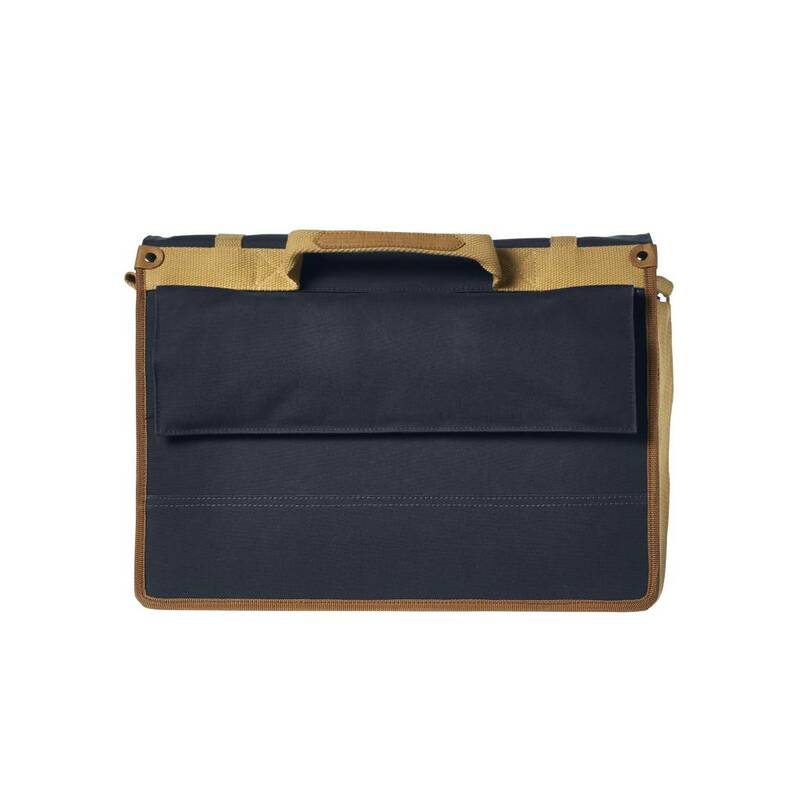 A high-quality material and trendy details ensure this bag is business ready, meaning you can strut into the office with this over your shoulder with pride. The bag has a top handle for easy grabbing, while an adjustable shoulder strap allows for more ergonomic carrying. A lined laptop compartment will happily accommodate machines measuring up to 15 inches, with extra compartments for smaller items. 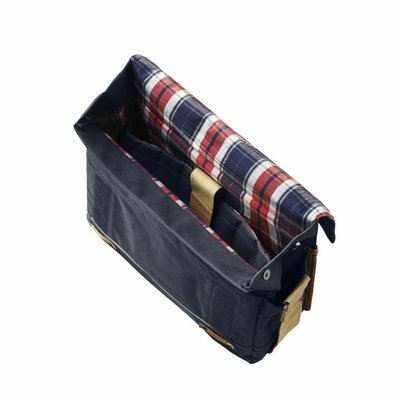 Side panels, a zip-fasten compartment and a wide interior compartment mean you’ve no end of space for stationary, keys, wallets and more. Depending on how you fold this bag, the internal capacity varies from between 16 to 20 litres. When expanded to its fullest, you’ve more than enough room for your work essentials, in addition to any other extras you might pick up on your way home from the office. With the convenient hook-on attachment system, you can easily mount this bag to your luggage rack. 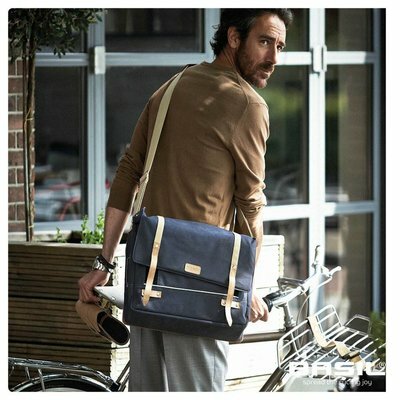 This bag is also suitable for attachment to e-bikes. The interior is well protected thanks to a secure envelope flap that fastens neatly thanks to sturdy magnetic closure. If you use this bag with the Basil Portland Front Carrier, you can also choose to mount this bag at the front of your bike. 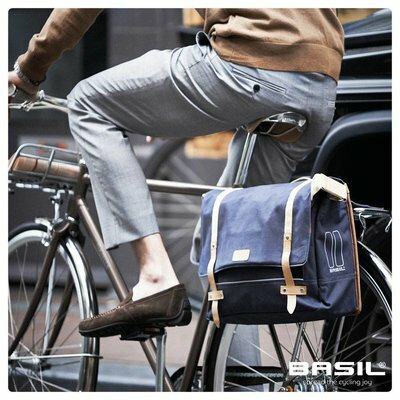 The Basil Portland Messenger is just one of many items from the essential Portland collection. Browse the complete collection online today for more inspiration. 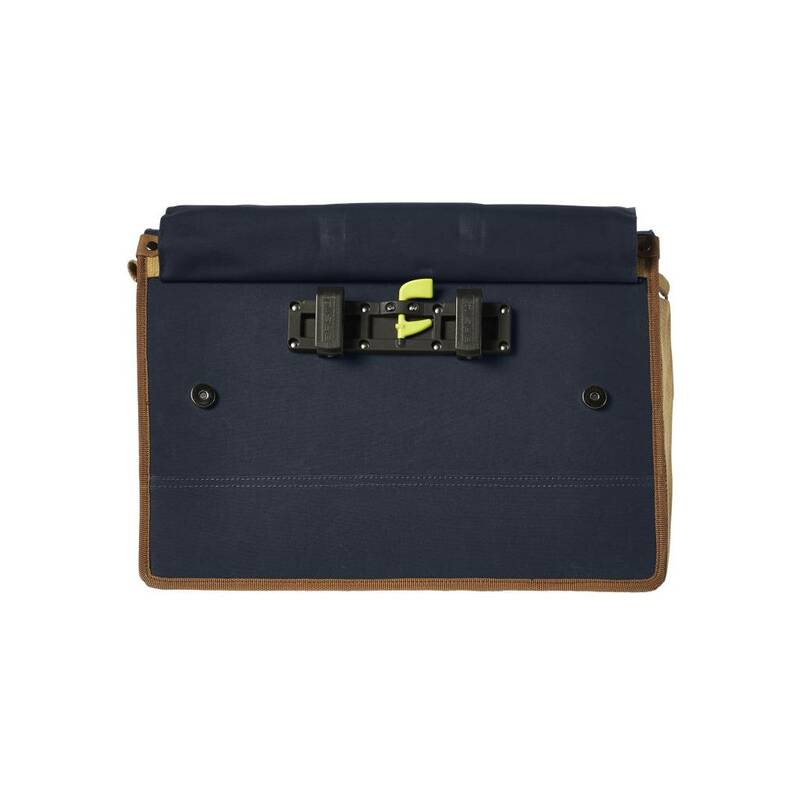 Thanks to the 15 inch laptop case compartment, this makes an ideal choice of laptop work for the office. At its smallest, this bag offers 16 litres capacity and can increase to 20 litres. The hook-on system fits various carrier types, including e-bike. Included rain cover keeps contents dry.